Enterprise or consumer, one of the most effective ways to become more productive with what you are doing is to tag your files. Enterprise or consumer, one of the most effective ways to become more productive with what you are doing is to tag your files. Tags make it so very much easier to find what you need and combine different items into ongoing project files. Tags are a useful way to categorize your files. They are color-coded and can be named and assigned to help identify files that belong to particular projects. What makes these useful is that you can assign multiple tags to items, which means a single file can be included within multiple projects when searched for using tags. Tags are available on both Macs and iOS devices (the latter via the Files app). 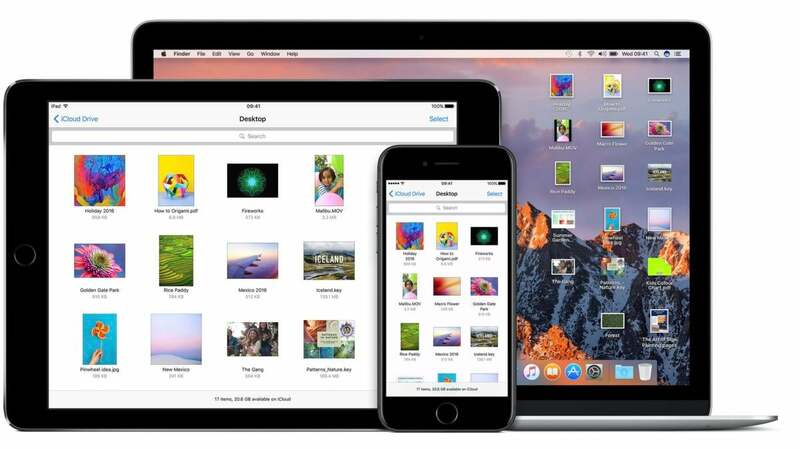 If you sync items using your Apple ID and iCloud, then you will find that tags given to items on a Mac are visible on your iOS device and vice versa. Where will I find tags on a Mac? Take a look at your Finder (just tap Command-Option and tap anywhere in the Finder to get rid of everything in the way) and select a file. Now you can either Control click that file to open up a contextual menu, or choose File in the Menu. In either case, you will find an item called Tags. How do I use tags on a Mac? With an item selected using either the menu or control-click, you’ll see at the bottom of the list of tags an item called Tags... Tap this, and you will open a small dialog box in which you can name a tag. You can then apply this tag to future items. You can also apply tags when you save items on your Mac. Can I use multiple tags? What’s critical is that you can bless an item with multiple tags. In the case of this document, I might assign tags such as How-to, Mac tips, iOS tips and AppleHolic. As I build my collection of tagged items, I will find it much easier to find documents or other project files belonging to all those categories. You can assign a tag to almost everything — though Apple desperately needs to improve Mail so you can assign tags that integrate with Finder to items there. How can I manage my tag preferences on a Mac? Tags (on a Mac) are a Finder item. You manage them using Finder Preferences (Finder Menu>Preferences, or Command-comma). There you will find an item called Tags. Open this, and you will see all the tags you currently have available to use on the Mac. You can drag them down to the box at the bottom of the Preferences pane to make them available for use in the contextual menus. You can also check the box beside them to make those tags visible in the Finder Sidebar. You can also select them in order to delete (tap the minus button), rename tags, or assign them a different color. Finally, you can create and define new tags using the Plus button here. To rename a tag in Finder Preferences, you just need to Control-click the item in the list. A contextual menu will appear in which you can rename or delete the specific tag, or assign it a new color. On a Mac, available colors include red, white, orange, yellow, green, blue, purple, grey and "no color." You can assign the same color to multiple tags. Now that you’ve named your tags, assigned them colors, and chosen the tag groups you want kept visible in the Sidebar, you can unlock some useful productivity improvements. How does this make me more productive? I find that tagging items in this way really helps manage projects. It enables me to drill down into my work by category and create ad hoc collections of files for ongoing projects. I find that tags are particularly useful when used with Smart Folders. I will say that while it takes a little time to get used to working with tags, the productivity benefits you encounter will grow over time, particularly if you also use iCloud with your iPhones or iPads to work. Why? Because those tags you assign on a Mac (or on an iOS system) will be available on both platforms thanks to Apple’s Files app. Tags work a little differently on iOS, though they remain effective tools for finding, recalling, and saving items. You find tags within Apple’s Files app. Open Files, and navigate to the item you wish to tag – a Pixelmator file may be in that app’s Files folder. Tap the file to select/download it. Once it is downloaded to your device, you can tap the Share button at the lower left. The hopefully familiar Share pane shows up. Look up at the top of the pane, and you’ll find the name of the file and a +Tag button, which you tap. You’ll be presented with a list of tags – if you sync with data on your Mac, these will be the same as those you maintain there. Check one or more relevant tags and tap "Done." Repeat the above procedure to get the Add New Tag item to create a new tag, give it a name, and assign it a color. Those tags will also be synced across all your Apple devices, including your Macs. Open Files on an iOS device. In the main Browse window, you’ll find Locations, Favorites, and Tags. The Tags section will include all the tags you use. To find items that belong to a tag, just tap its name in the list and all the items using that tag will be revealed, making it much easier to find items. You can also delete tags by swiping right to left on the tag you wish to delete in order to expose the Delete command. Are you using tags? Do you have any advice to help knowledge workers get more from using them? How might Apple improve tagging to make it more effective?